Super Ski Pad - Ski in, Ski Out, Walk to Town. Property 1: Super Ski Pad - Ski in, Ski Out, Walk to Town. 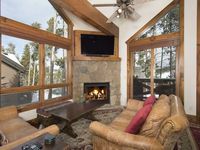 Luxurious spacious town-home w/private hot tub, Ski-in/ski-out, Fully stocked kitchen, Sleeps 8! Property 11: Luxurious spacious town-home w/private hot tub, Ski-in/ski-out, Fully stocked kitchen, Sleeps 8! Ski-in Ski-Out - Luxury Mountain Living at its Finest! Property 12: Ski-in Ski-Out - Luxury Mountain Living at its Finest! Ski-in/ski-out spacious 4 bdrm town-home, Private hot tub, Fully stocked kitchen, Sleeps 10! Property 13: Ski-in/ski-out spacious 4 bdrm town-home, Private hot tub, Fully stocked kitchen, Sleeps 10! 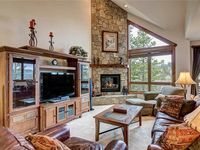 Upscale Breckenridge Town Home - Ski In/Ski Out - Dates Available - New Listing! Property 29: Upscale Breckenridge Town Home - Ski In/Ski Out - Dates Available - New Listing! Available Weeks: FEB 16th to 23rd 2019 and March 9th to 16th, 2019 ONLY!!! Property 32: Available Weeks: FEB 16th to 23rd 2019 and March 9th to 16th, 2019 ONLY!!! Private hot tub, Mountain Views, Book your summer vacation today! Property 36: Private hot tub, Mountain Views, Book your summer vacation today! This town-home is located at an excellent ski-in/ski-out location, with easy access to the Snowflake trail and only a few minutes drive to Breckenridge's Main Street. The space, layout, finishes, furnishings, and amenities are well above average in Breckenridge and much nicer than we expected. The home was very clean when we arrived and contained sufficient towels, bath soaps, and garbage bags. We particularly appreciated the downstairs space, the easy access to the slope, and the ski and boot storage and dressing area. We would definitely rent this home again, if available, when we return to Breckenridge. We had 7 adults at this property over President's Day weekend. The condo was the perfect size for the group. The ski in/ski out was great... a short walk over to the run. I am giving this property 4 stars because there were a few amenities that were missing - we didn't have any wine glasses, only 4 coffee cups, and only 2 dishtowels. However, when I asked for this to be fixed it was right away! The hot tub was nice and warm but the jets never did work properly. Also, the bunk bed mattresses were not super comfortable but that is probably a personal preference. We would stay here again.